Please be advised that USPS postage rate increase will take effect on Jan 27. This will be reflected on our new shipping cost matrix. Thank You. Welcome to Koren Zander’s EnKore Makeup website! Home of the Sponge&Brush Soaps, Cufflette Wrist Palette, Ring Palette and more. Feel free to navigate around the shop by using the tabs above. Happy Shopping! You asked, we listened! 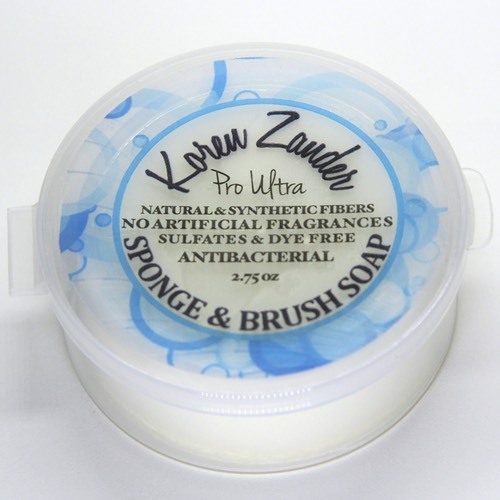 All Sponge&Brush Soaps are now transitioning to join Pro ULTRA and Unscented, and become DYE-FREE!! Sensitive to artificial fragrances and dyes? Try PRO ULTRA! It's scented with essential oils. Copyright © 2005-2018 EnKore Makeup LLC. All rights reserved.